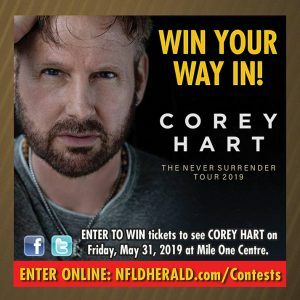 1: Winner will receive two tickets to see Corey Hart at Mile One Centre in St. John's on May 31st, 2019. 2: If the winner is unable to attend the event for any reason, another entry will be chosen at random. 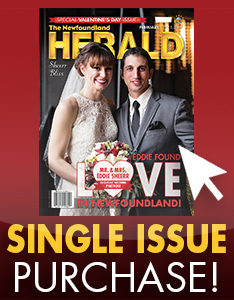 3: Submissions accepted in person at The Newfoundland Herald office at 460 Logy Bay Road or online at nfldherald.com on the contest page. 4: Only the winner(s) of the contest will be notified. Contest closes on May 17th.